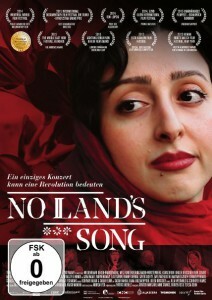 No Lands Somg is nominated for the German Filmpreis 2017 in the documentary section. * Free admission for members of the German Film Academy. Ayat Najafi will be present at all dates. In Iran, since the revolution of 1979, women are no longer allowed to sing in public as soloists – at least in front of men. 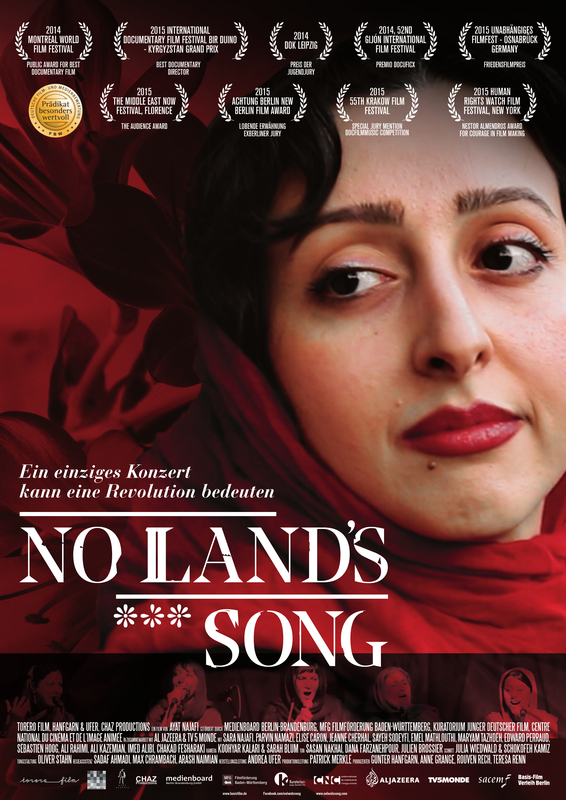 Defying censorship and taboos, the young composer Sara Najafi is determined to organize an official concert for solo female singers. 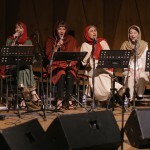 In order to support their fight, Sara and the Iranian singers, Parvin Namazi and Sayeh Sodeyfi, invite three female singers from Paris, Elise Caron, Jeanne Cherhal and Emel Mathlouthi, to join them in Tehran and collaborate on their musical project, re-opening a musical bridge between France and Iran. But are they going to succeed and finally be gathered in Tehran, sing freely, side-by-side, in front of a mixed audience and without restrictions, and to open a door towards a new freedom of female voice in Iran? My sister Sara makes music since the age of 4. 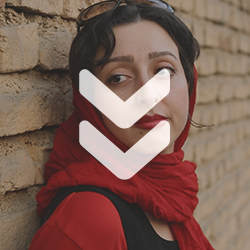 Watching her go through the challenges of being a female musician in Iran, and the first woman to get a diploma of composition in Iran, has led me to an awareness of the difficulties facing Iranian women in music in my country today. 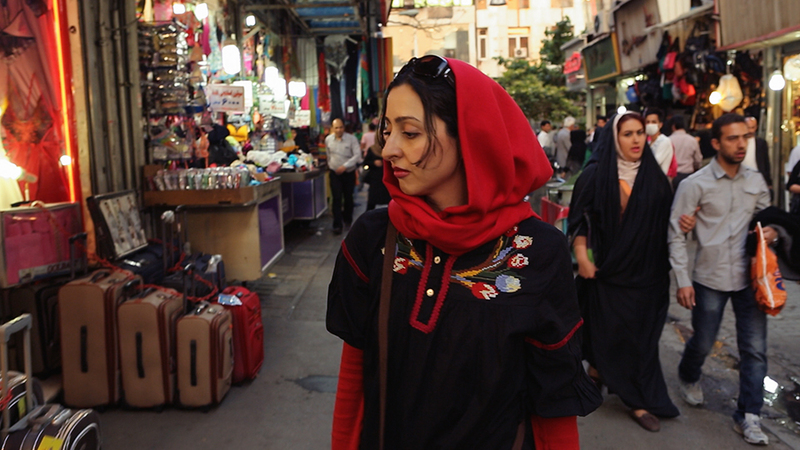 In this film, I want to shed light on the problems faced by a new generation of Iranian musicians. Sara’s love of music is the most important element in her everyday life. The concert that she wants to organize for and with her friends, is a group effort to confront ourselves with a dream which could finally become reality. The role of music in all social and political developments in Iran during the 20th century has been crucial. 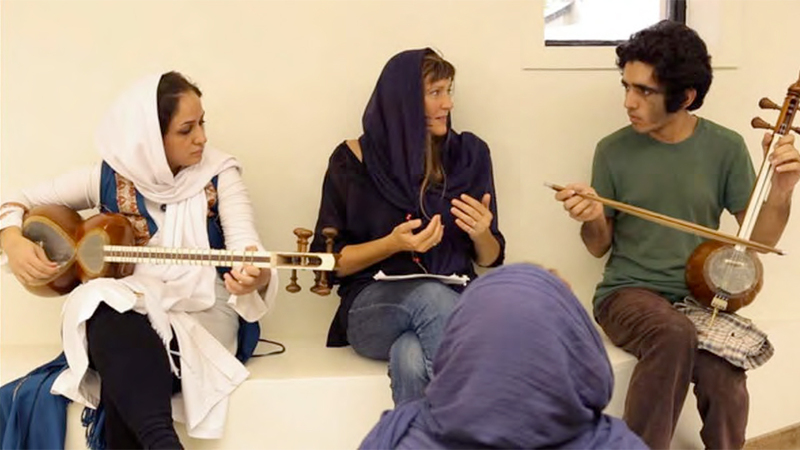 Music represents and gives voice to the desire of each period in Iran’s history. 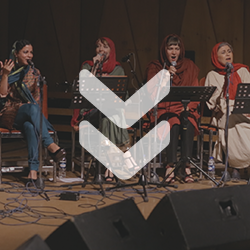 Even though so many female singers have left Iran since the revolution in 1979, many of them still live and work in Iran. The ironic fact that many more young girls attend the music schools than boys is very surprising for me. Why are they learning something considered illegal for them? 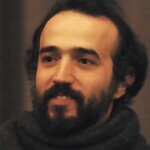 The film follows step by step the process of organizing a concert in Tehran by questioning from within the system of censorship in Iran. My film highlights the limits of freedom in my native country by interrogating them head on – in front of the camera. In terms of strategy, we have operated during this long shooting, opposing Sara’s determination and “false naivety” to the prohibitions that were opposed to us. We have adopted a “politically correct” posture. 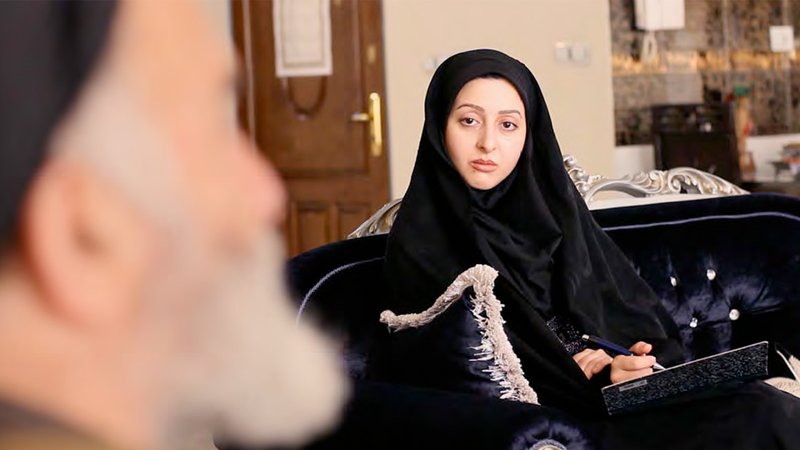 This allowed us to film or (secretly) record all stages of Sara’s authorization requests and meetings with departmental officials and religious authorities, and to highlight the logic of the censorship operated by the Iranian regime. 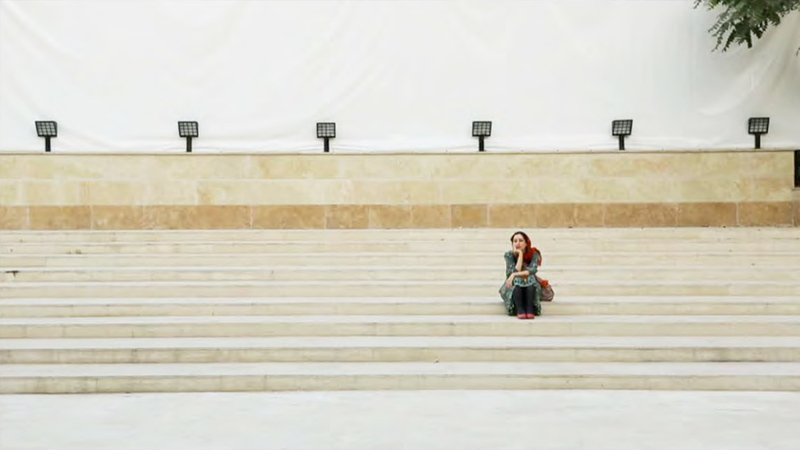 As the film follows Sara’s fight to stage the concert, the film brings the interior, the “logic” of Iranian law to light. The musical layer of the film is centered on the revolutionary song “Bird of Dawn” (Morq-e Sahar) which singers will try to give a new voice to. This film is also a tribute Qamar, this legendary female singer who, in the ’20s, was able to break taboos in Iranian society and free the female voice, this very same fight Sara and her friends have to lead again now. In the 1920s, Qamar had managed to free the voice of women. She passed it from inside to outside, from the private domain where it was confined, to the public world. Her persistence inspired us the desire to challenge our turn to the new government of Iran. The film focuses on the central character of Sara. The French characters serve as a sort of poignant counterpoint: Between culture shock and artistic solidarity, we experience the voyage to Tehran in the eyes of Elise Caron, Jeanne Cherhal and Emel Mathlouthi, accompanied by three male musicians, who become more and more aware of the reality of female singers as they finally join Sara and participate actively in her fight with Iranian singers Parvin Namazi, Sayeh Sodeyfi and the other Iranian musicians. Here, music acts as the core of female strength fighting with the repression. Singing as the strongest expression of the body is the main enemy of the Islamic republic of Iran. 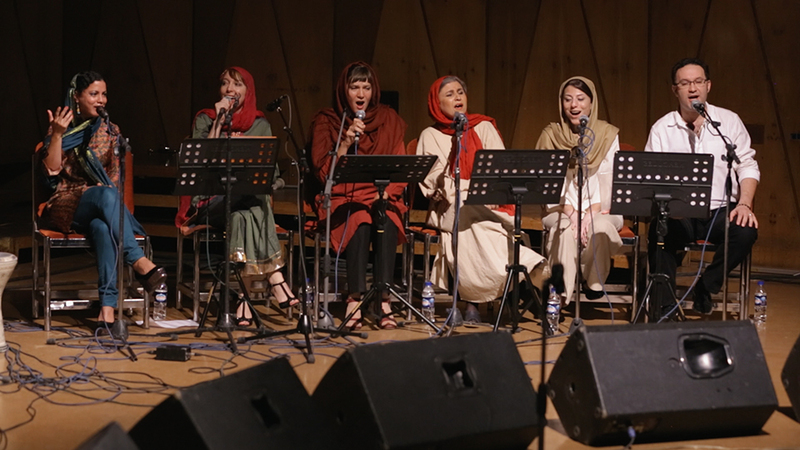 At the end of our adventure, a door opened for women’s voices, the time of an evening, September 19, 2013, in the City Opera of Tehran: but what about tomorrow? 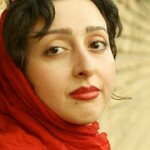 Composer and pianist SARA NAJAFI, sister of the director Ayat Najafi, was born in 1980 in Tehran. 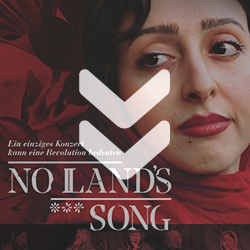 We will follow her footsteps during the adventure of NO LAND’S SONG, as she’s the main initiator of the concert planned to take place in Tehran. 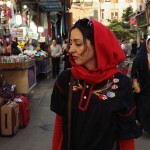 She will be our guide when we meet the people of today’s Iran. 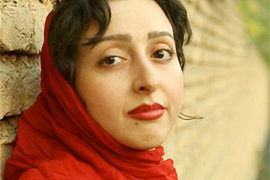 Sara Najafi started playing piano at the age of four. 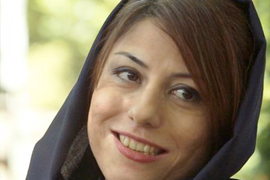 At the age 12, she entered the Music Conservatory of Tehran, then in 1998 she joined the University of Art and Architecture where she has taught since 2003. 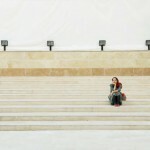 She is the first woman to receive a diploma in composition in Iran. She also composed the music for several short films (“Opposite”, “A striped dream”, “Somewhere on the Land”, …) and theatre plays (“The Seagull,” “The Night of Companionship). She wrote the soundtrack of the feature film “Zagros”, premiered at the International Fajr Film Festival in Tehran in 2006. In 2008, she participated in the Berlinale Talent Campus. 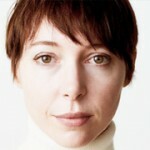 She teaches piano and the Orff method of theory and harmony since 1998. 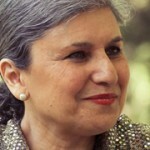 PARVIN NAMAZI is one of the great traditional Persian voices of the present age. 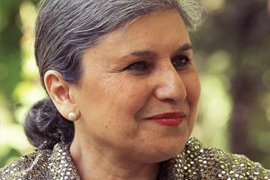 Born in 1953 in Iran, she began her career at the age of nine as a solo singer for a children’s program on Iranian television. 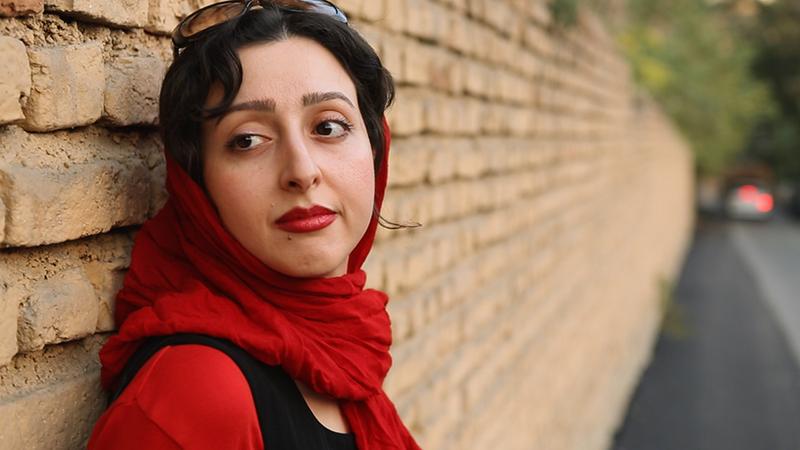 She left Iran in 1972 to start her education in Germany. Her career took off in the 1980s when she joined the ensemble “Darvish” in Berlin, where she worked with Hossein Alizadeh, a master of traditional Iranian music, and Mohammad-Reza Lotfi. 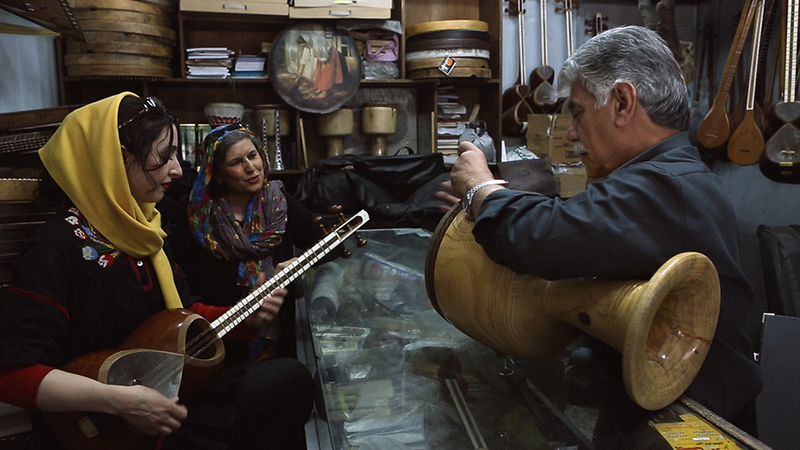 After 20 years of exile, Parvin returned to Iran in the 1990s to study the traditional folk music of Kurdistan. 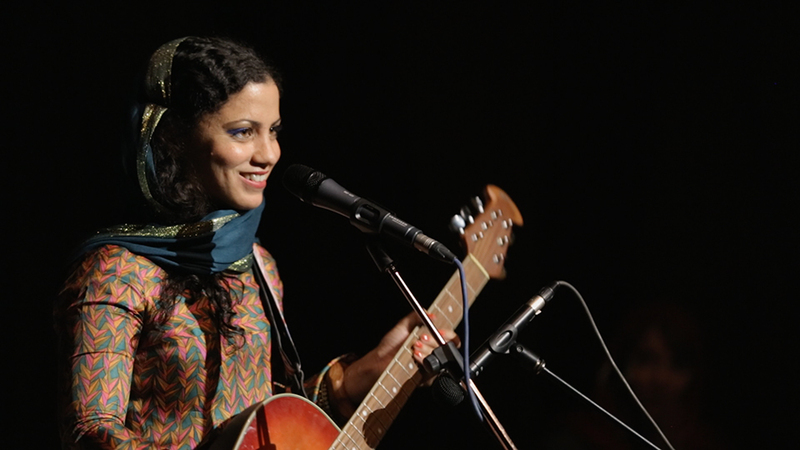 Her first album “Kurdana” was banned from publication in Iran. 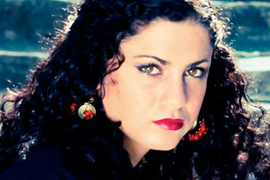 Mezzo-soprano SAYEH SODEYFI, born 1979 in Tehran, is studying at Azad University, where she studied Setar. 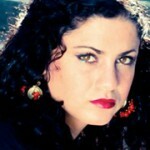 In Armenia at the Yerevan Komitas State Musical conservatory she obtained a Master in classical music. She followed the teaching of Jolieta Nazarian, Aleeda Harotonian, Kambiz Roshanravan Hussein Alizadeh, Mohammadreza Darvishi and Masood Shoari. 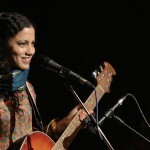 Since then, she has performed in numerous recitals and festivals in Iran and elsewhere. 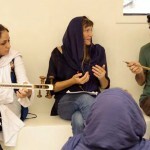 She currently teaches at the University Karbordi Elmi, the Conservatory of Tehran and various other institutes. 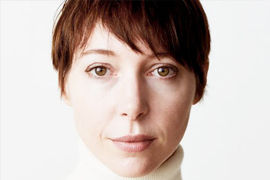 She is also a member of the Educational Association of Austrian Embassy and an active composer. Born in Tehran in 1976 and currently living between Berlin and Iran, Ayat Najafi first studied scenography. 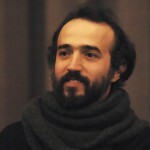 In 1995, he set up a company for student theater at the University of Tehran, participating in several workshops led by some masters of Iranian theater. He worked on several theatrical productions as director, writer, actor and designer. 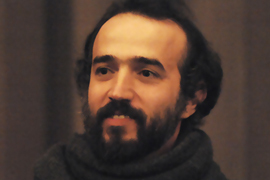 Since 2000, Ayat Najafi developed his directorial work. In 2003, he founded Arta Atelier, focusing on an interdisciplinary and multimedia approach to theater, and made short experimental and documentary films. In 2005, he participated in the Berlinale Talent Campus with his short film Move It (2004). As a student at the University of Konstanz (2008X 2009), he presented his play Stories of women with mustaches and men in skirts. Lady Tehran, his second theatrical production in Germany with an international team, premiered in Berlin in 2009, followed by Pakistan [Does not] exist. 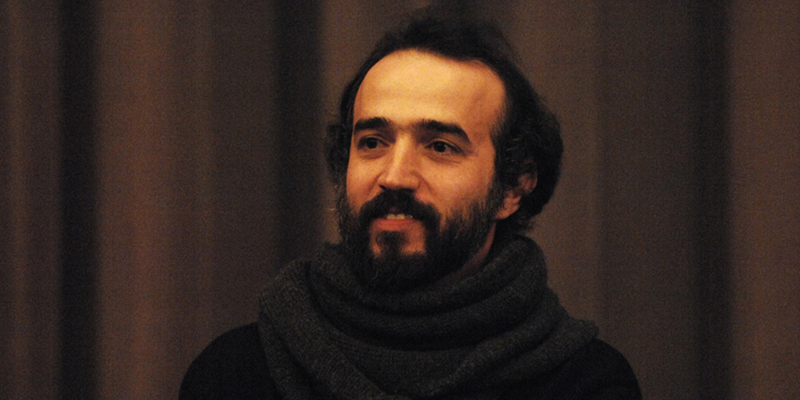 In 2008 he made his first feature documentary, Football Under Cover. 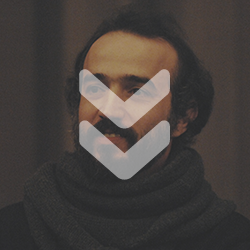 Torero Film is a German production company focused on documentary films. 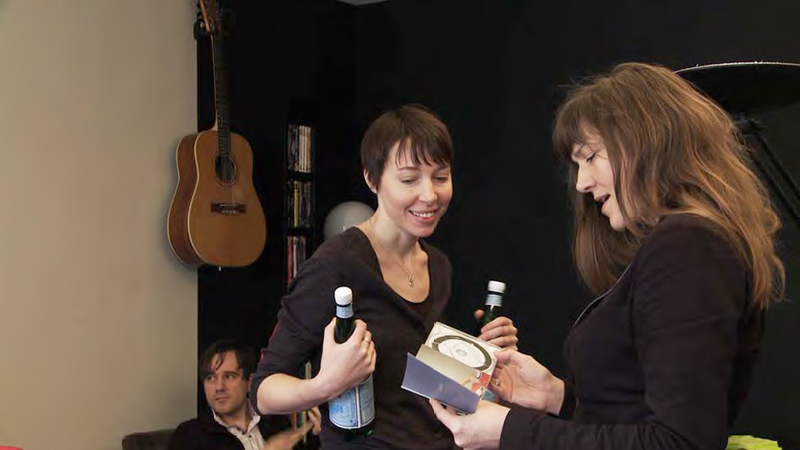 Founded in Berlin in 2005 by Rouven Rech and Teresa Renn, a second office was opened in 2007 in Konstanz. HANFGARN & UFER, founded in 1991, with headquarter in Berlin and Hamburg, has produced numerous documentaries for German and international channels, widely represented at international festivals and awards, some being released in theaters. Since 2010, Gunter Hanfgarn also develops and produces feature films. Since 2013, two feature films were launched: Max and Lenny by Fred Nicolas and La belle saison by Catherine Corsini, currently filming. 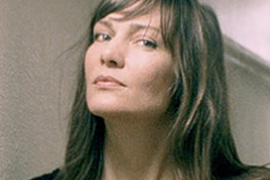 As an author and producer specialized in musical films, Anne Grange produced the latest short film by Nicolas Engel at CHAZ Production, as well as La copie de Coralie (Critics Week 2008), a documentary film by Vincent Jaglin on the excesses of the Breton nationalist movement and No Land’s Song by Ayat Najafi on the right of women singers in Iran. 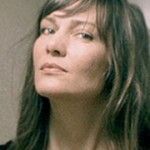 She is currently developing the first fiction feature by Nicolas Engel, shooting in Ukraine.